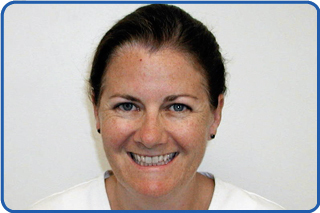 Dr. Ellen Glynn has been in the private practice of orthodontics for children and adults since 1996. A native Californian, she completed her undergraduate education at the University of California, Berkeley, and her dental degree at the University of California, San Francisco. After her graduation from UCSF in 1996, Dr. Glynn headed east to the University of Connecticut for an additional three years of education in a combined Masters degree and Orthodontic Certification program. She completed a Masters degree research project about children’s facial growth during orthodontic treatment. 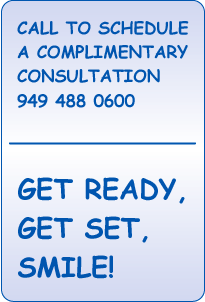 Dr. Glynn is Board Certified by the American Association of Orthodontics. She is an active member of the American Association of Orthodontists, the Pacific Coast Society of Orthodontists, and the American Dental Association. Dr. Glynn lives in San Clemente with her husband and their two children. Dr. Ellen Glynn's staff is highly trained and has many years of experience. 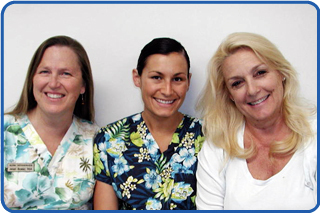 Our dental assistants, Janet and Jessica, have successfully completed the California State Board Examination to receive their Registered Dental Assistant and Radiograph Licenses. Our front office manager, Kim, has years of experience in the orthodontic field and insurance. Our entire office team looks forward to making your orthodontic experience a positive and enjoyable one, for both patients and their families.